It looks like there'll be at least one new game coming to the Dreamcast in 2018, as Senile Team's Intrepid Izzy hit its €35,000 Kickstarter funding goal with mere hours to go. The impressive 2D platformer is also due to come to both PS4 and PC, and will feature Metroid style gameplay and a central character who can acquire different abilities depending on the costume being worn. "It wasn't easy, that's for sure! Managing the Intrepid Izzy campaign was the first thing I did in the morning and the last thing before I went to sleep, with few breaks in between. And with the funding advancing only very slowly most of the time, staying motivated was a real challenge as well. But we made it in the end, so we are all feeling very thankful, excited to complete the game and hopeful to make it exceed everyone's expectations." 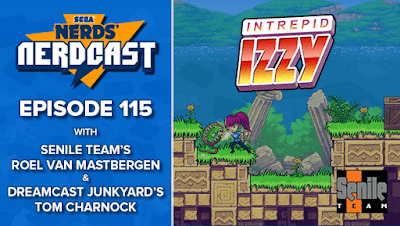 Having played the demo, and looking at Senile Team's previous output on the Dreamcast (Rush Rush Rally Racing and Beats of Rage) we're pretty confident that Intrepid Izzy will be yet another highly polished indie title for the system. 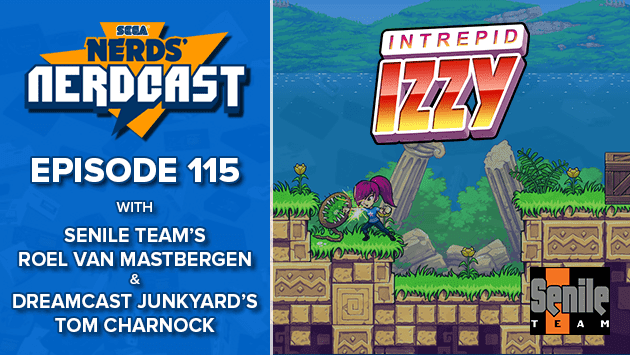 I was also lucky enough to take part in episode 115 of the SEGA Nerds podcast, the SEGA Nerdcast in which Roel was also a guest, and he spoke openly about the Kickstarter and the influences other games have had on the development of Intrepid Izzy. Check it out here. Did you back Intrepid Izzy? Are you excited for the future of the Dreamcast? Let us know in the comments, on Twitter or in our Facebook group. I backed it, at the last minuter, after playing the demo. They shouild have released the demo a long time ago in my humble opinion. I agree, would have backed it early on had the demo been released. After the demo was released I unfortunately missed out on the Kickstarter funding. I backed it last minute myself. Senile Team has done a lot for the DC and hopefully this w spur future projects from them and others...Its still thinking.. Played the demo a few days ago. It's pretty cool, looking forward to release!